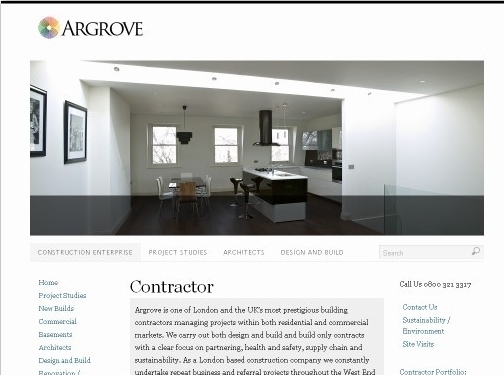 For a leading UK Construction Company visit Argrove - Professional building contractors and Architects in London and the UK specialising in all types of construction work - big and small. For more information about Argrove's building and construction services please visit their website. Tel: 0800 321 3317. UK (London) based company offering building contractor services. Website includes details of their services, work portfolio ("construction portfolio"), news section, details of their 100% compliance with building regulations, full company contact details.